"Still, the early signs about Miliband’s electoral instincts were not good. In the weeks before the European elections that May, Miliband’s pitch to the public remained mostly incoherent. 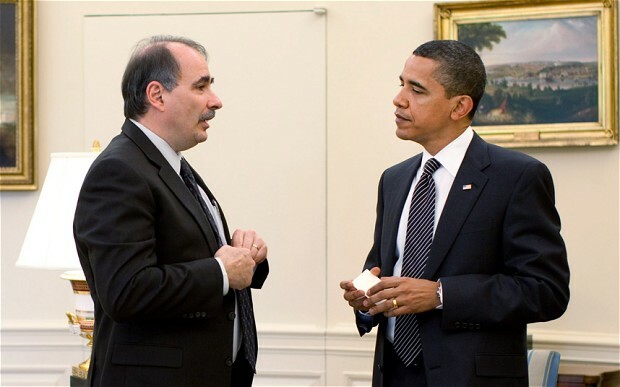 On 15 May, a week before the vote, Miliband met with David Axelrod – Barack Obama’s chief campaign adviser, who had signed on as a consultant to the Labour campaign for an astronomical fee – at Corrigan’s, an upscale Mayfair restaurant. During the meal, Beales was fielding calls from Miliband, who was still asking him to think of a slogan for the remaining week of the European election campaign; Axelrod was appalled by the low quality of the ideas being discussed, which he derisively characterised as “Vote Labour and win a microwave”. Unless Miliband could present the public with a bigger and more inspiring message, Axelrod told him, it would be impossible to regain the support of the white working-class voters who were deserting the Labour party." Labor party nabobs were not only upset about the size of Axelrod's fee, they were also very disappointed at the small amount of time he spent in Britain during the campaign and the paltry amount of direction and advice he brought to the election effort, which, of course, turned out to be futile. 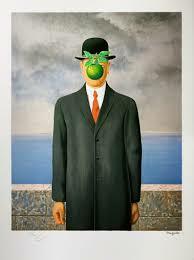 Axelrod also failed in his election advisory efforts for Italian Prime Minister incumbent candidate Mario Monti. 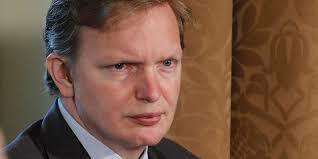 In fact, another Obama aide, his deputy chief of staff and campaign manager for the 2012 US presidential election, Jim Messina was a paid consultant for Conservatives David Cameron in 2015 and Theresa May in 2017. Messina also worked on election campaigns for Italian Prime Minister Matteo Renzi and Spanish Prime Minister Mariano Rajoy. He and his namesake firm have received over $1.2 million for mostly failed European election engineering. The point of this description is that neither of these two political gurus are British or Italian or Spanish yet they've received millions of dollars to influence the democratic process in those countries. Their actual election influence, while generally a failure, is orders of magnitude greater than anything the Russians might have been able to pull off in the Trump-Clinton battle. Is there a corresponding effort by a British or Italian Mueller clone to investigate this? Doesn't seem like it. This makes the Russian collusion thing seem even more ridiculous. Some bozo in the Windy City made national news over a staged hate crime. Coverage of this semi-event went from the alleged crime itself to its performance to the arrest of the perp to the dismissal of charges against him. This raised so many hackles that a retired judge felt compelled to comment on the matter in one of the nation's most prestigious newspapers. O’Brien, 63, retired from the First District Appellate Court in 2011 after 16 years of service. 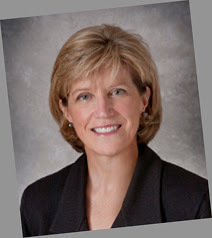 She previously served nine years as an Associate Judge. Before rising to the bench, she worked as an assistant public defender, trial lawyer, and instructor a the St. Louis University Law School. If this is true it means that the honorable justice O'Brien retired from the state bench at age 53. Now it's possible that the feminine legalist could have simply quit work one day and moved on to other things, like her current affiliation with Loyola University. We can't know for sure without access to the lady's tax returns. The use of the word "retirement", however, doesn't seem to indicate that this is what occurred. It appears more likely that she has moved to that country called "public employee retirement", a place she's likely to inhabit longer than the 25 years that she made courtroom decisions for the state of Illinois. According to Taxpayers United of America, Justice O'brien is the beneficiary of an annual pension of $192,039 and is statistically likely to collect in excess of $7.9 million in taxpayer-funded retirement benefits. We've already heard much about the dire status of Illinois state finances. A large part of that noise has been the Prairie State's overwhelming pension obligations. According to Forbes, 23,000 retired state employees receive over $100,000 annually in pension payments. Dr. Leslie Heffez, a dentist retired from the University Chicago Circle, now operating a practice in Highland Park, Illinois, is receiving an annual retirement payment of nearly $600,000, the largest in state history. But it isn't just about the money. The most important feature of American culture has always been its embrace of the "Protestant work ethic". The enthusiasm for hard work is a foundational value in America, and to the mind of most, the quality that makes the country perhaps the most successful in world history. Those that don't embrace that moral, that are instead lazy and feckless, are pariahs in their own communities. The idea that an elite can establish a system where they can receive benefits for things that they did and were compensated for decades ago is a rejection of the Protestant work ethic that puts them morally in league with the lowliest members of American society. A portrait stolen from a yacht moored at Antibes in 1999 has been recovered by Dutch art theft specialist Arthur Brand, according to this article and this one. 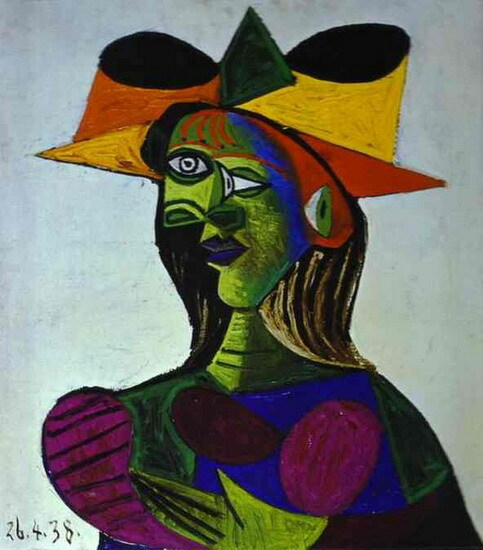 The picture is said to be of Picasso muse Dora Maar, was painted in 1938 and is estimated to have a value of $25 million. 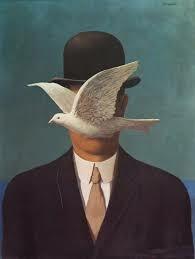 Stolen art, especially valuable, well-known works, have a function in the criminal world but their very value makes them a problem for whomever has them in their possession. Brand has become the go-to guy to arrange transfers between the anonymous keeper and insurance companies with an interest in the work, as previously detailed here. The figures haven't been finalized but it's estimated that the cost to taxpayers of the Mueller investigation into Trump-Russian collusion prior to the 2016 presidential election will be in the range of $32 million to $35 million. After all, the process took almost 2 years, making the expense roughly $1.5 million a month. An article in the San Diego Union-Tribune states that the Russian state media agency, Russia Today, spent as much as $247,000 on Twitter during the run-up to the election. Facebook admits that it sold about $100,000 in ads to a Russian "troll farm", starting as early as the summer of 2015. Russian information troll farm the Internet Research Agency spent just 0.05 percent as much on Facebook ads as Hillary Clinton and Donald Trump’s campaigns combined in the run-up to the 2016 U.S. presidential election, yet still reached a massive audience. While there might have been other Russian disinformation groups, the IRA spent $46,000 on pre-election day Facebook ads compared to $81 million spent by Clinton and Trump together, discluding political action committees who could have spent even more than that on the campaigns’ behalf. 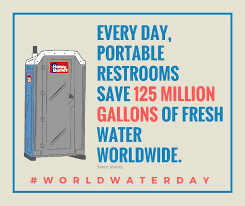 The answer to the dearth of fresh water is plastic toilets. It's also the answer to the enormous expense of updating America's crumbling sub-terranean sewer infrastructure. Instead of digging up and replacing plugged and rusted pipe, simply abandon it and place a plastic toilet outside every home and business in the country. Of course, that will mean that further millions of gallons of fresh water will be available, perhaps flooding low-lying areas and filling basements. Just the same, much water will be saved and building owners won't be faced with the expense of sophisticated bathrooms. The money can be spent on special access features for the handicapped instead. 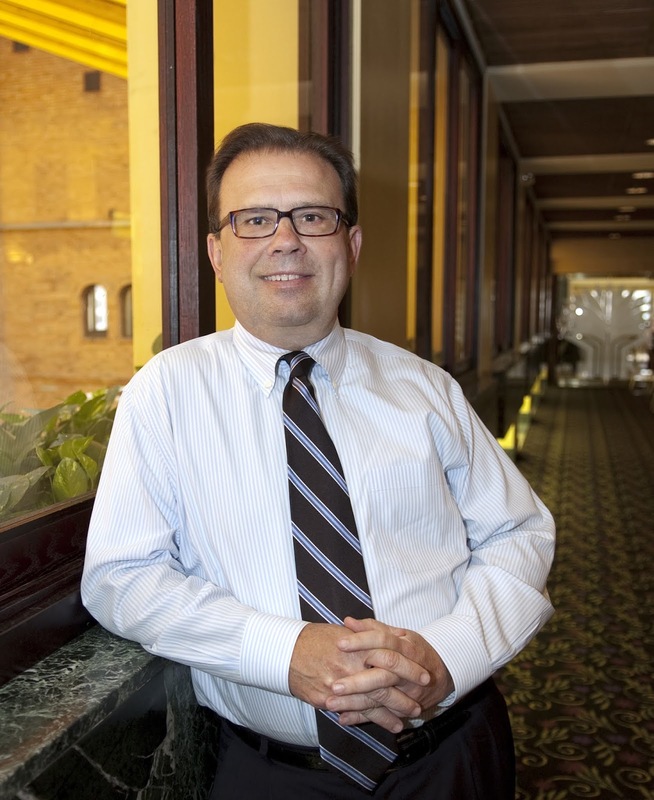 The non-profit Michigan health insurer Blue Cross Blue Shield paid CEO Daniel Loepp a salary of $1.5 million in 2018, according to this article in the Detroit Free Press. While substantial compensation for someone that doesn't face a rising fastball with men on base in the course of his work day, performance incentives raised Mr. Loepp's income by another $16.2 million and he also received $1.4 million in payment for automobile transportation and life insurance. The total of checks written to Mr. Loepp, likely to be from an account made up of premiums paid by Michigan residents worried about contracting serious diseases, comes to $19.2 million for the year. It's a little difficult to imagine what, exactly, Mr. Loepp, an employee, not an owner, can be doing to earn what amounts to $9600 per hour on a normal annual basis. After all, there's nothing particularly novel in the insurance business. It's not like inventing a new treatment for cancer. 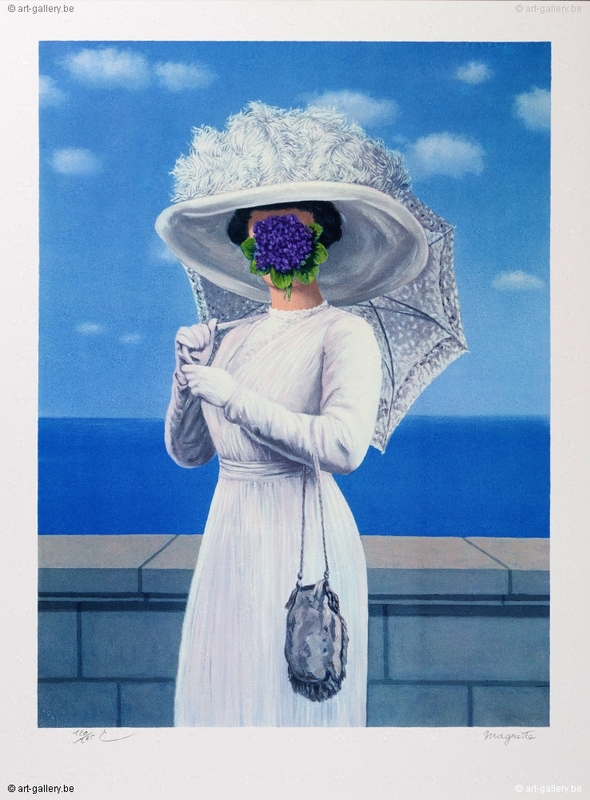 Magritte Painting Auctioned For £18,366,250. 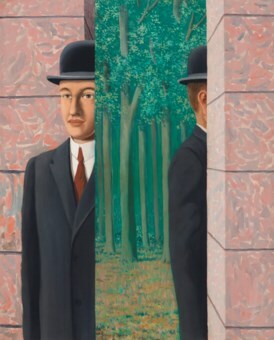 Belgian artist Rene Magritte's 1964 painting "Le lieu commun" was auctioned at Christie's London "The Art of the Surreal" sale on the evening of February 27 for the equivalent of $24,266,958.80. Three other Magrittes were sold during the evening.